Dental veneers are one of the fastest and most effective cosmetic dentistry options used to improve your smile dramatically. 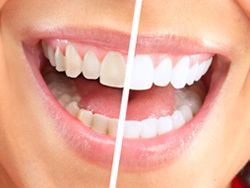 If you are unhappy about the look of your smile, with complaints of discoloration, cracks, or crooked teeth, veneers are a dental procedure that can be done quickly and easily to dramatically improve the look of your smile by covering your most visible teeth. Dr. George A. Mighion can transform smiles with natural-looking veneers that can be done in a few easy appointments. Our Mishawaka, IN dental office can even offer dental financing for porcelain veneers to help you get the smile you want in a budget-friendly way. 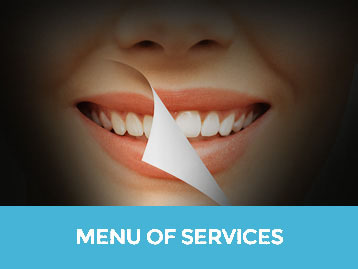 Dental veneers can give the appearance that significant teeth straightening and teeth whitening usually takes. 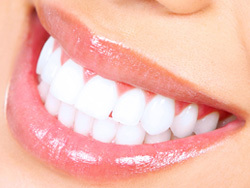 These super-thin covers made of porcelain are bonded to the teeth visible in your smile. They can transform discolorations and gaps or unsightly shapes with perfectly linear and attractive covers. Dr. Mighion first takes tooth impressions and then has veneers prepared in the perfect shade and shape. 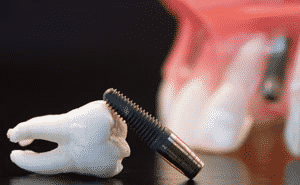 A small amount of your tooth enamel is gently sanded away and then Dr. Mighion uses dental bonding to attach dental veneers to the front of the teeth. We typically start with a set of temporary veneers that can help you try your new smile on for size while your customized and handcrafted veneers are created just for you. Are veneers permanent? 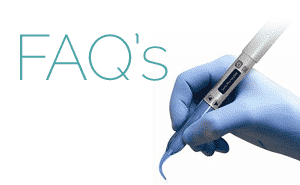 How much do dental veneers cost? Dr. Mighion would be happy to meet with you to discuss your smile and provide you with a quote on dental veneers and alternatives, should you wish to review a variety of smile improvement options. Dental veneers are considered permanent, due to the fact that a small amount of tooth enamel is removed in order to affix them to the teeth. They will need to be replaced periodically. 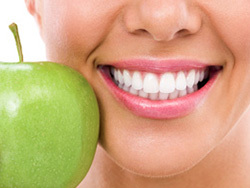 Following good oral hygiene and doctor’s orders can help you maximize the lifespan of your porcelain dental veneers. A smile truly can make a marked difference in self-confidence. Many of our patients provide dental veneer reviews that not only extol the talents of Dr. Mighion and his dental team in our Mishawaka, IN dental office but that also speak of how much more confidence the patient now has personally, professionally, and even romantically. If you want to a bright, beautiful smile, call our Mishawaka general and cosmetic dentistry practice schedule your appointment with Dr. Mighion. We offer proven, personalized dental care that leverages the latest in dental technology to provide Mishawaka, IN and surrounding area patients with a smile that’s healthy, attractive, and that shows that health and confidence to the world. We are taking on new patients for family and cosmetic dentistry and would be happy to offer you a consultation to help you learn about whether or not porcelain veneers are right for you. Contact us at 574.393.8663 to book your appointment.